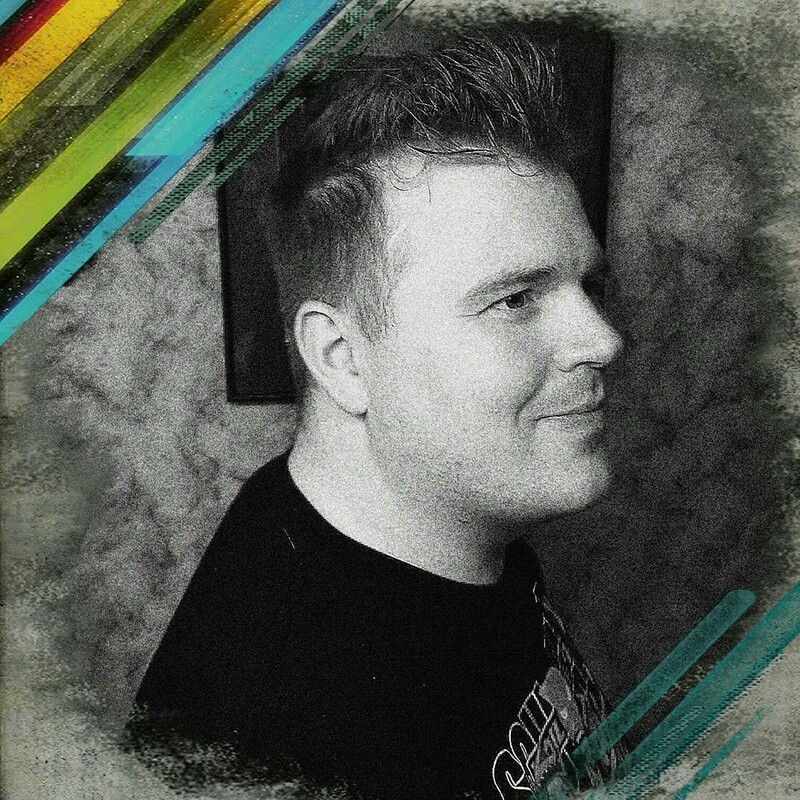 It’s hard to say that I’m not a fan of Destiny in some form or another. With having all three classes sitting near max level, it’s hard not to mention this, and the fact that the game has been heavily updated since the last review, but this time around it’s not about the past content, but about new content. 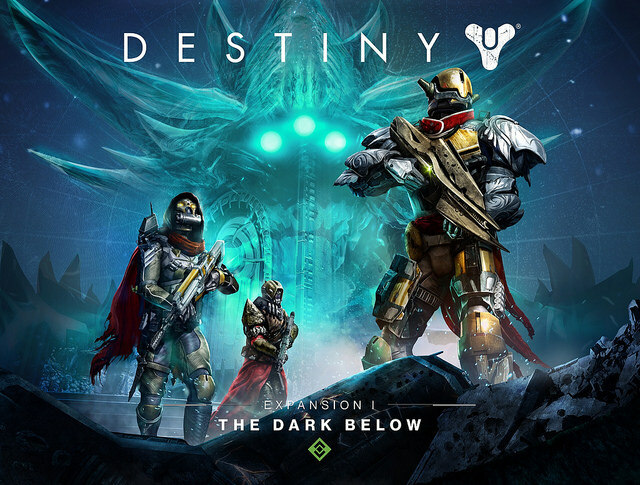 Recently Bungie released the games Expansion I: The Dark Below (19.99 USD without season pass). This expansion itself focuses upon one of the most eerie enemies of the lot; The Hive. These creatures are what many would call ravenous dark-dwelling demon-spawn that just need wiped off the face of the galaxy. Fortunately that is a statement that stands true. 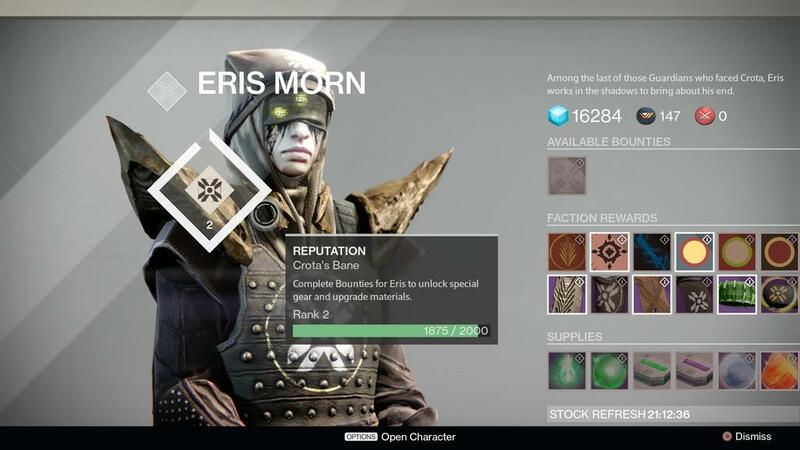 The content released starts out at level 20 (realistically; you need to be much higher to actually complete the content) through the games new vendor Eris Mourn. She is reluctantly one of the few characters that have managed to make their way from the deepest pits of the Moon and survive tell a tale that is spine-chilling were we to actually be in the Destiny universe. As players take on her missions, which are given to them like bounties, players will find themselves taking on enemies with unimaginable power and difficulty, which will truly test their skill. Some of these missions include removing a characters capability to double jump or even glide depending on your class, and limiting your evasiveness. This means teamwork was definitely put into design when the content was probably drafted over a few of the developers meetings. Unfortunately they forgot one very important thing in all this; we want to see new areas, not revamped old areas. Much like the base game, players will be seeing a lot of the areas they are quite familiar with, minus the fact a few of them have been altered to fit in with the newly released content. While playing through the content, it was interesting however, to see places like inside of the Warmind Rasputin, to visit some of the old areas that have hidden enemies that are exclusive to the DLC’s story hidden away in a corner. It was because of content like this that the “expansion” or “DLC” in many ways felt alive, but just not alive enough this time around. Once players have unlocked some of the missions towards the end of Eris Mourns bounty line, players will get to visit a new and truly devastating boss by the name of Omnigul who serves as one of Crota’s “generals”. With her fierce presence as a Wizard based enemy, it’s not surprising to see how hard she was, which made her fight all, but fun. That’s not to state that her constant phasing to new waves didn’t help ignite this tid-bit of interference. To many, this fight will resemble “Phogoth, The Untamed”, but with more Wizards, Knights, Acolytes, and Thrall’s of both types that just seek to literally eat your characters face rather than say hello to your character. With this strike being as hectic as it was, it was time to walk away, find a new one that didn’t feel like a prolonged mission with an absurdly annoying end boss. So it was time to visit the Expansion’s second new strike by the name of “The Undying Mind”. 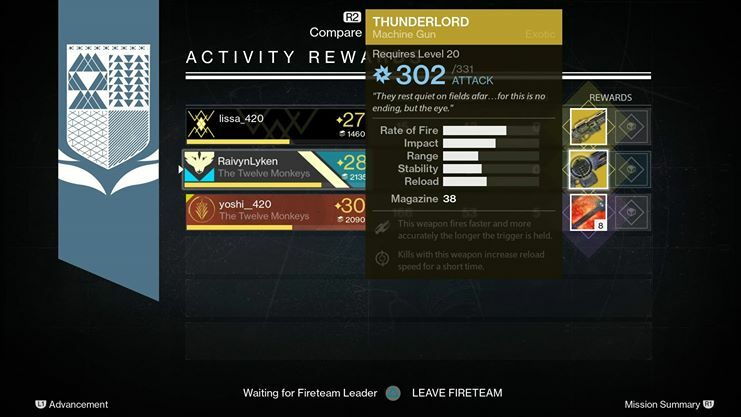 “The Undying Mind” was probably the most interesting of the two newly added strikes. This one focused upon the Vex once more, which have seemingly not been entirely wiped out with the death of Atheon being a faucet to that occurrence. This time players are once more battling off hordes of enemies inside of “The Black Garden”. The fights as well as the dungeon design are unique, thoroughly thought through, and well implemented as each encounter felt unique, difficulty, and at times like a puzzle due to the enemy types that appeared within each battle. There were moments where players would feel exposed, weak, and left out in the open as enemies spawned in from behind, in front of, and beside fire teams in order to devastate them and ultimately cause a wipe. As highly unexpected as it can be, this seems rather intentional within the levels design as well as built around difficulty. But the strikes unfortunately are hard to really even cover as they are much like any other strike. Players will fight through a few pools of enemies, move on, dispatch more enemies, and fight a boss. One boss is destroyed, move on, and once more encounter a batch of enemies. This is what lead the fire-team I was with into the expansions big focal point; Crota’s End Raid. The raid itself is where the Expansion does truly shine. Due to even the PvP mans, while cool, are still lacking and may not interest those who are die hard for PvE. 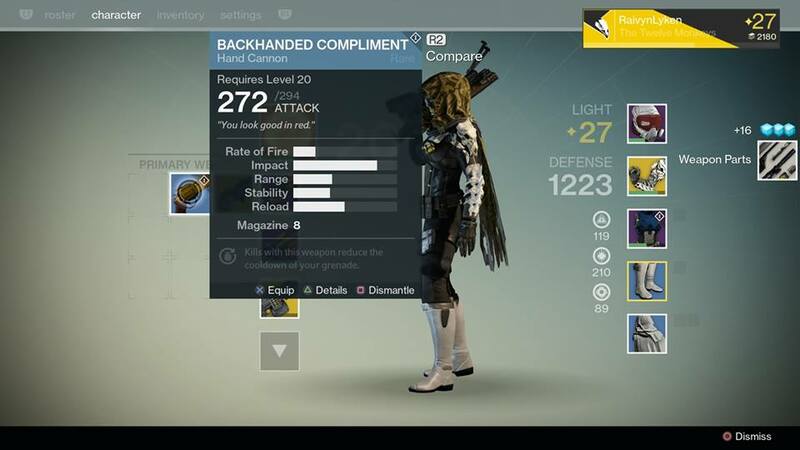 Stepping foot into the raid delivered a sight that differentiated from the games basic formula. 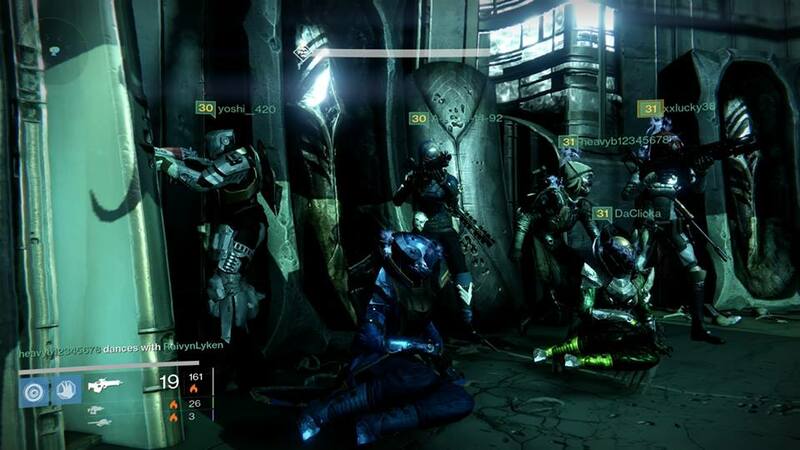 Once in the raid, the fire-team as well as myself were exposed to a very dark, dreary, and uneasy place. The Crota’s End Raid decides to open up with a bang. Players will fall into the center of the Moon, hit rock center, and become acquainted with the very dark, very hard to pass through, and punishingly difficulty “Lamp” portion of the raid. With players being limited on maneuverability due to this portions debuff “Weight of Darkness”, players will find themselves trying to move from lamp to lamp while fighting off endless waves of Thrall’s and Ascendant Thrall’s so that they don’t die from either being mauled to death of simply blown up. This portion of the raid was probably one of the most interesting portions as players will find themselves working on a strategy that works best for themselves, but also the firing squad they are part of. The problem? This formula is used consistently through the raid. Each fight is a puzzle in its own as players will find themselves pelting down Ogres, Knights, Shriekers, Thralls, Wizards, and even Thrall themselves. Each of the fights will provide fire teams with having to think on their feet, and constantly be on the go. Here is where communication, tactics, and even the capability of taking notes comes in hand. Overall, the raid outshines the rest of the content as players will learn each fight comes with a heightened sense of urgency. Some such as the Death Singer will provide teams with a very limited time on how quickly they must kill enemies, but also how well coordinated each kill must be. This also goes to say, weapons, skill, and even a proper build will become tested as players will need to find a medium ground and balance between each of the classes, but unfortunately this is where players will find the height of “The Dark Below” as players will find it overall lacking in content, excitement, and reason to continue forth for those who do not raid. With all the good designs being thrown into “Crota’s End” it’s hard to really feel excited about what will be coming up in the future expansion “The House of Wolves”, which is slated to release sometime this year. I hope for the sake of that expansion we see a thorough launch of new zones, new missions, new armors, new weapons, and even a rather fun batch of new strikes and hopefully two new raids as this marks the last DLC of this season pass and possibly the last bit of content to launch for Destiny until we see Destiny 2 since it’s already in early development. So the final question comes down to one thing at the end of this review. Is Crota’s End worth the 19.99 USD or 34.99 USD for the Season Pass? For those who are the casual gamer, it’s hard to really justify the spending of your money since the massive amount of content that this expansion has lies heavily within Eris Mourns short quest line and excessive reputation farming, but the almost necessary requirement of at least experiencing the raid more than once to really feel the money’s worth has been placed in a good spot. The answer is? If you are looking for higher replay value for a casual gamer, this is definitely not an expansion for you unless you PVP. Reviewer Note: The review version used was not supplied by Activision or Bungie and was purchased at our own accord and is based off the PlayStation 4 Version. However, we did not state or remark towards overall game performance, but rather content of this Expansion.